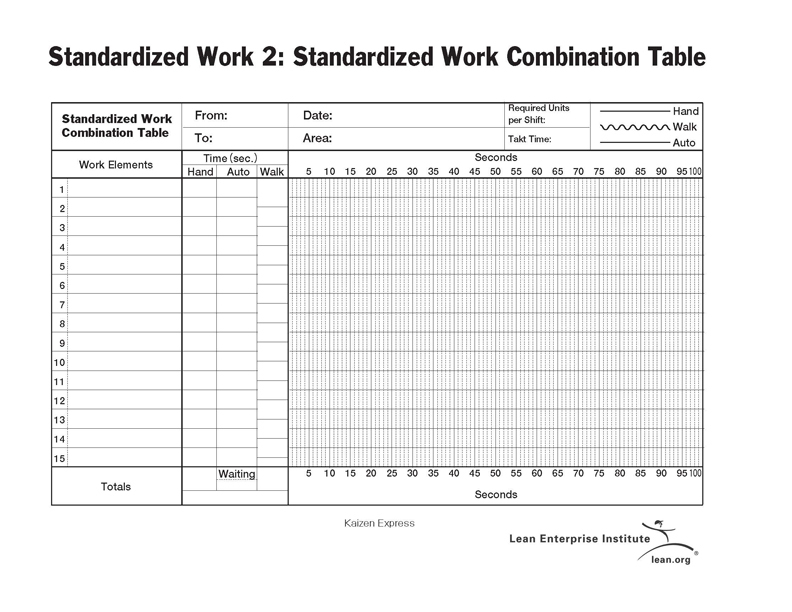 Home » Posts » Lean Manufacturing » What Is A Standardized Work Combination Sheet? The main data relevant for the Combination Sheet is the way different parts of the working process interact with each other, and the timing needed between the various steps involved. As the name of the sheet implies, it shows how the different timing values combine, including the manual work time, walk time, as well as machine processing time. These are further recorded for each individual operator working on the floor, and the data is then put together by various forms of analysis. The Combination Sheet can be very useful for determining if there is any significant amount of waste in the delays between separate process steps. It can often give a direct indication of the kind of direction the company needs to work in, in order to address those issues. The most important points recorded in the Combination Sheet are the time required for human movement, as well as machine movement, all based on takt time. 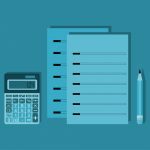 With proper use of a Combination Sheet, the company can quantify exactly how much an individual worker is responsible for, and it will become more obvious if an employee is overburdened by their current tasks. On the other hand, it can also show if a particular employee could be utilized better. It’s not rare that a company won’t notice that one of their workers is significantly underutilized, spending a lot less time performing actual work than anyone suspects. It’s often easy for these problems to fall through the cracks, even in a smaller organization with more oversight. 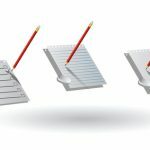 But when everything is properly recorded and accounted for, using all relevant tools for developing a standardized working environment, you’ll have all the data right in front of you. Some examples of waste that can be eliminated through some observations, based on data recorded in a Combination Sheet, include the time an operator spends waiting for the machine to complete its task, waiting for input from another machine, or waiting for another operator to perform some part of their job. Sometimes this waiting is unavoidable, and an integral part of the main line of work, but it can be difficult to separate the two types of downtime. That’s where a Combination Sheet comes in play. It gives you all the information you could possibly need about the current state of the production process, with an objective overview of everyone’s individual involvement. The data collected from Combination Sheets lends itself to graphical representation very nicely, and it’s easy to see various patterns through the use of visualization tools. This may sometimes be built into the sheet itself, although it’s often a secondary task carried out by another part of the organization. 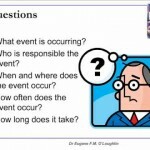 The important thing is that the data is collected and organized properly, processing it can always be done later. How precise should I be? The precision of timing measurements doesn’t have to be very accurate in some cases, but this all depends on the way your company works. For example, if processes typically take over ten minutes a piece, it doesn’t make that much sense to record everything down to the last second. On the other hand, if the organization relies on a large number of “micro” processes, then you may need to measure times with an external device, as it would be too difficult for a human operator to keep up. The important thing is that everything is measured in scale, as this is what determines the validity of the data later on. You can’t round off one part of the data set while keeping another precise, as this will quickly lead to statistical deviations that are impossible to explain. 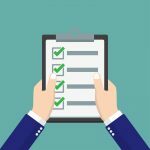 Employees may be a bit confused about their new duties with regards to filling out the Combination Sheet at first, but as long as you take the time to patiently guide everyone through the process, you’re going to see some significant improvements in the overall effectiveness of the organization. Remember, standard work is something that can bring a huge change to your company, but you have to be the voice of reason that guides everyone through the process at first. It can be a difficult journey in the beginning, which is why you should prepare with solid knowledge of all tools involved. 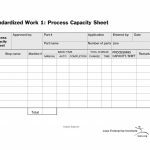 What Is A Standardized Work Process Capacity Sheet?